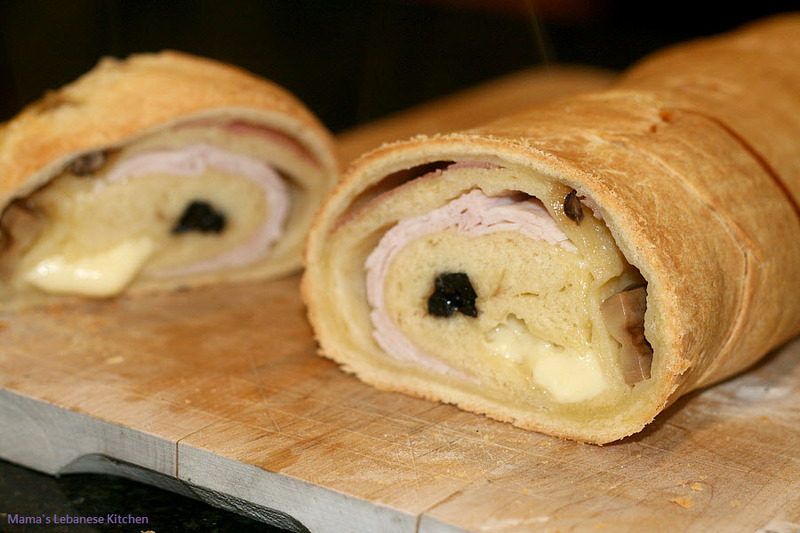 If you love gourmet breads, you’re on to a lovely ride. 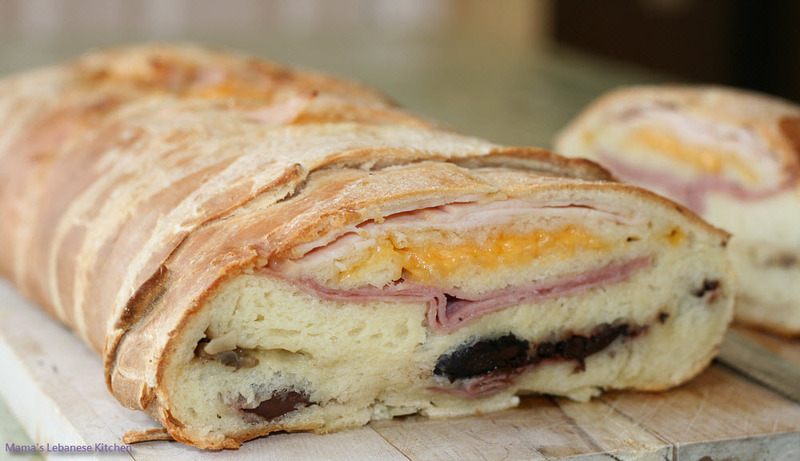 This “bread” tastes wonderful and serves as a great hot or cold hors d’oeuvres. If you have a party, plan on making a lot because it tends to disappear fast. I also noticed over time that olives seem to have the most impact on its flavor. If you have good olives, the bread turns wonderful. No wonder bakeries carry “olive bread” since when olives are present you almost need nothing else. If you would like to further experiment, you could try to add a tiny pinch of rosemary leaves as a stuffing. 1. Add the flour, salt and sugar to a food processor (or kneading bowl) and mix for a minute. 2. Warm the milk just a bit, then melt in it the yeast and 1/4 teaspoon of sugar. Let rest for 3-4 minutes then add to food processor and mix with dough for 1-2 minutes. 3. Melt butter on a gentle low heat, let cool down a bit, then pour in food processor and knead for 4-5 minutes. 4. Finally add the eggs and knead for 4-5 more minutes until you have a nice dough. If the dough is too soft, add 1/4 to 1/2 cup of flour and knead again. If it’s too hard, add 1/4 to 1/2 cup of milk and knead again. 5. 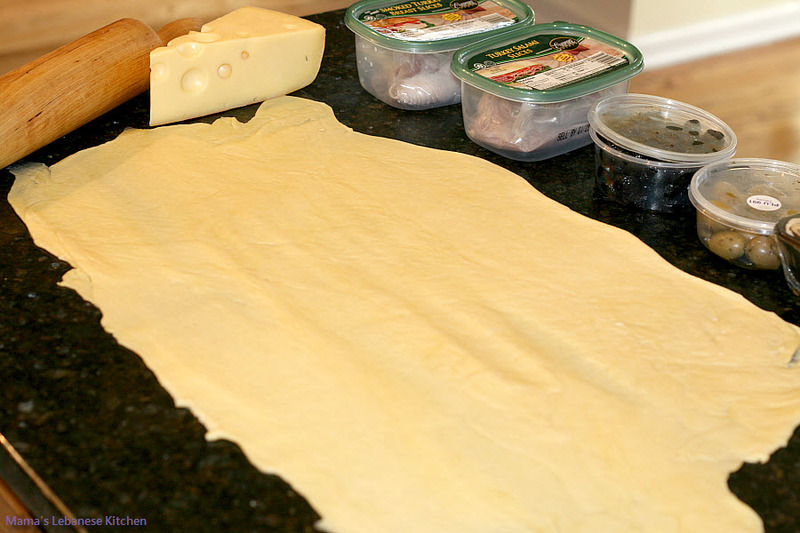 Place dough in a bowl, cover it with a kitchen cloth and let it rest at room temperature in a warm corner for 2-3 hours. 1. 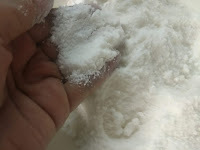 Once ready, clean the kitchen counter or working area then dust it with flour. 2. 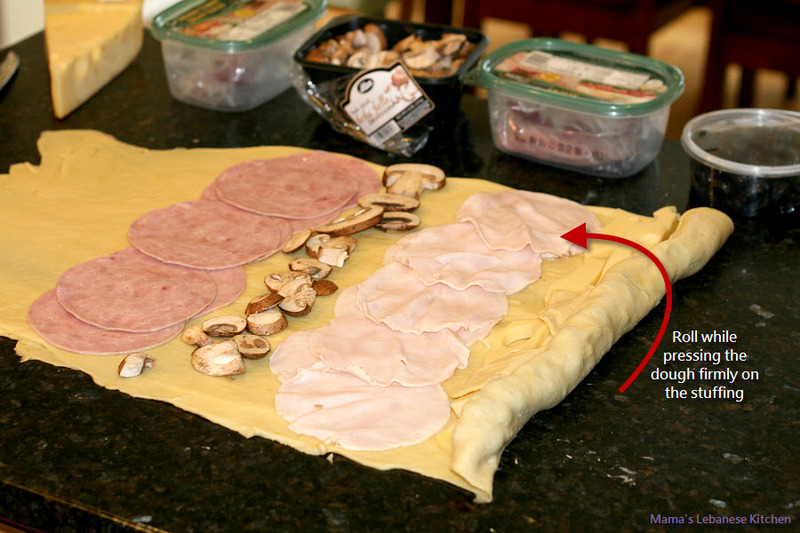 Roll dough into a very thin sheet of 15 x 25 inches, and a thickness of about 4 mm (1/6th of an inch) (equivalent to the thickness of about 3 US quarter dollars). 3. 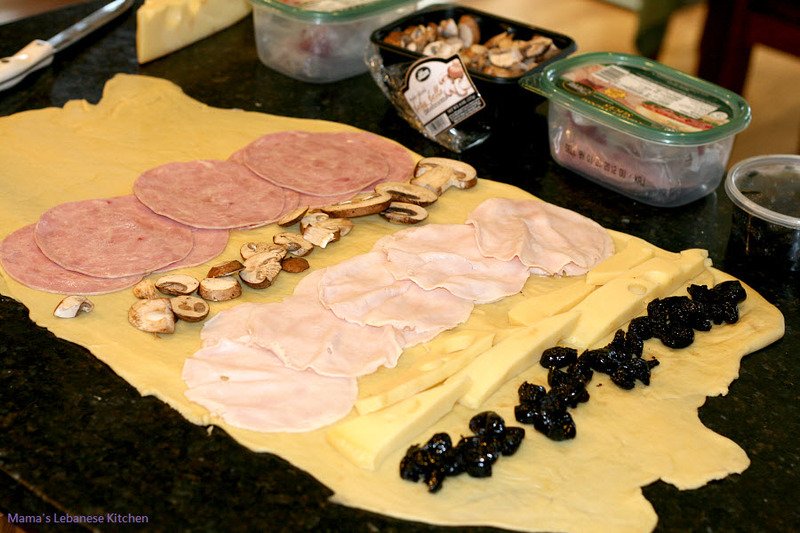 Line up rows of stuffing ingredients along the length of the dough in any order you prefer, and you could also follow this one: olives, Swiss cheese, smoked turkey, mushrooms, cheddar cheese, turkey salami. 4. 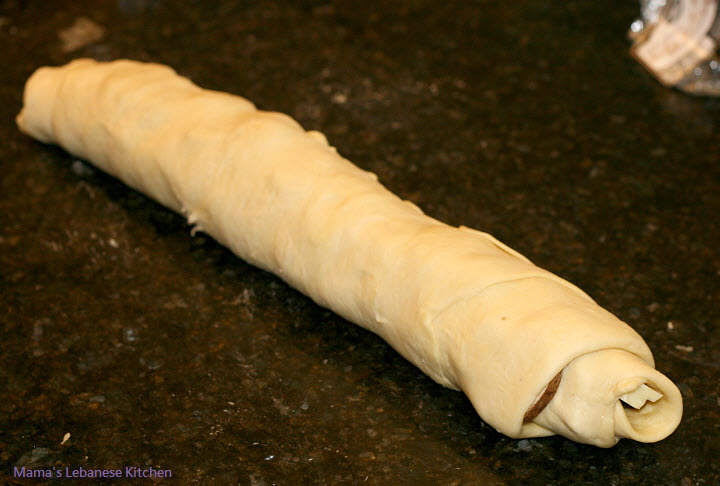 Slowly and firmly, roll dough along its length while pressing it gently against the stuffing so they’re not loose, and so the dough sticks to them. Once done, mold the edges of the loaf and close them firmly. 5. 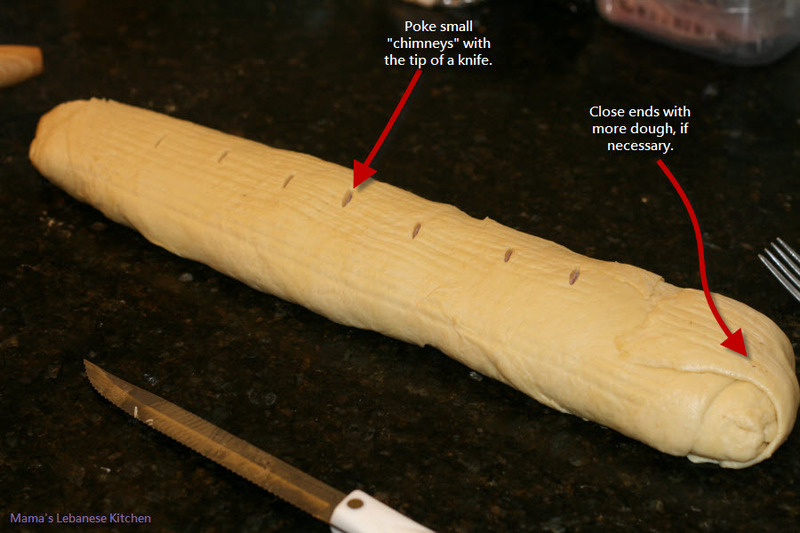 With a knife tip, create a few small cuts on the top of the loaf to act as a chimney so the bread doesn’t explode in the oven. 6. Place loaf on an aluminum foil (or on a baking stone) in an panggangan preheated to 450F (or 230 C) and bake for 5 minutes, then lower heat to 370F (180 C) and let bake slowly for about 50 minutes. 7. Once baked, carefully place the loaf on a cutting board, let it rest for a bit then slice it as desired. This bread can be served cold or hot, and goes great as a hors d’oeuvres.